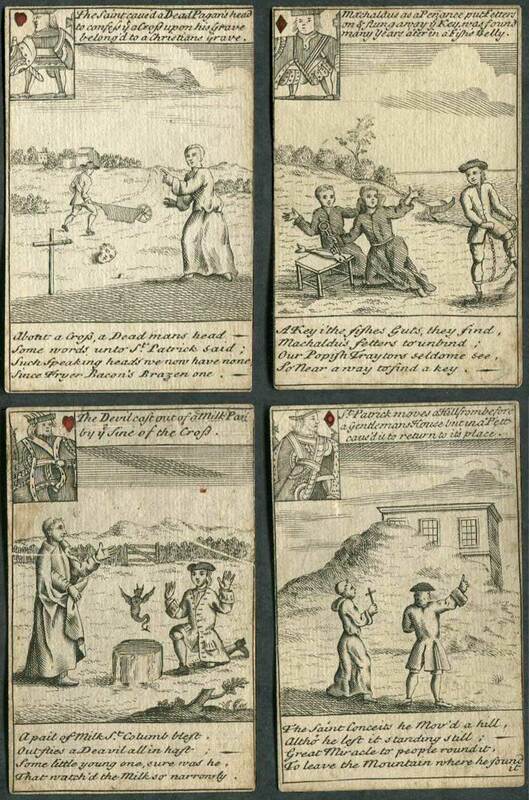 Illustrated playing cards featuring comical engravings and rhymes about saints, unknown publisher. 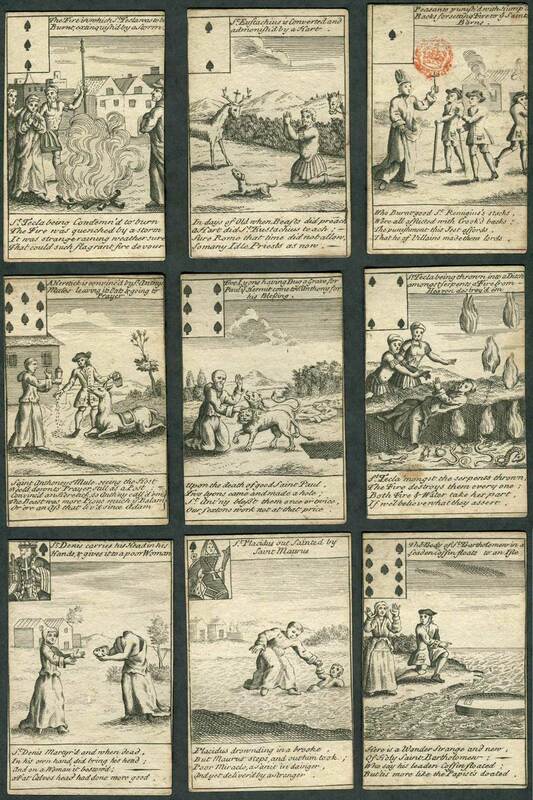 The hand stamp on the ace of spades would date the cards between 1715/18 and 1745. 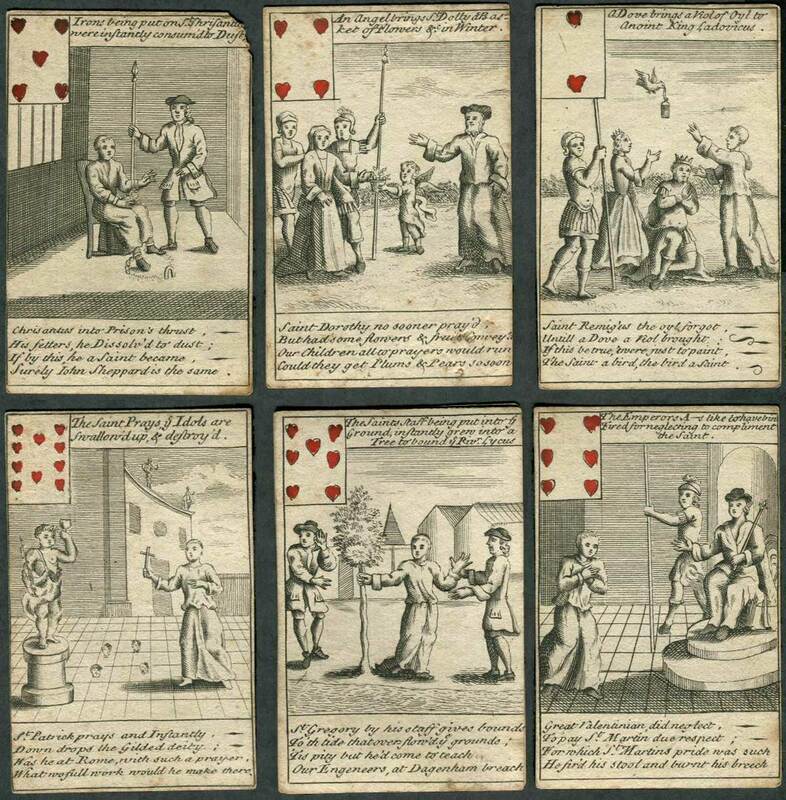 The cards are engraved and the style is a two/three line description at the top which describes the picture on the card and a four line description at the bottom which gives more details about the saint and is more comic than respectful. “St Denis carries his Head in his Hands & gives it to a poor Woman”. “St Denis Martyr’d and when dead, In his own hand did bring his head And on a Woman it bestow’d a Fat Calves head had done more good”. The engraving on the cards is very detailed and interesting. 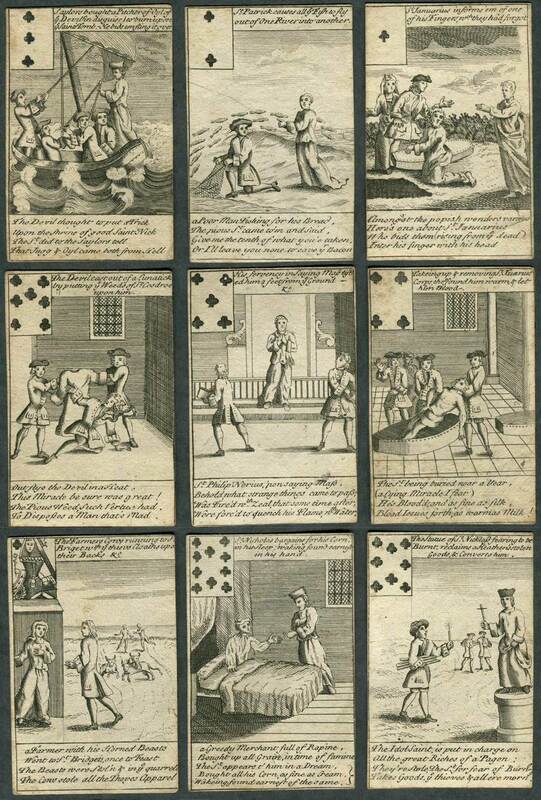 The courts in the left hand corners are British standard full-length figures of the period (shown enlarged at top).